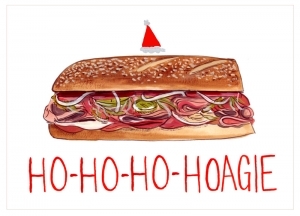 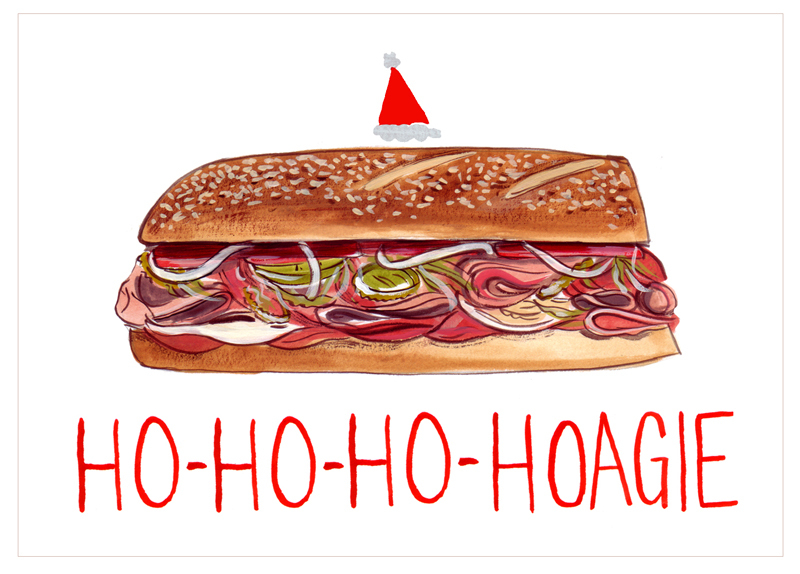 What better way to celebrate the holidays than with a genuine Philly hoagie greeting card! This hand painted card is printed on sturdy 130 lb cardstock and has a very substantial handfeel and smooth finish. 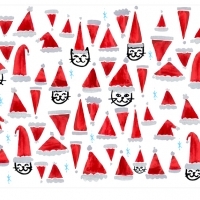 Comes packaged in a clear protective sleeve accompanied by thick white envelope. 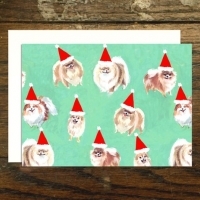 Kimmy Makes Things "Pomeranians in Santa Hats Card"